In 1846 James John took up a provisional land claim near the Willamette River where once there had been a large Indian encampment. In 1852 he platted "St. Johns on the Willamette", a townsite of 4 blocks by 21/2 blocks along the waterfront. Two additions would follow in the years ahead. William Caples secured his federal land grant to an area that later became St. Johns Heights in 1868. In 1895 Cables relinquished much of his property rights to the City of Portland. On October 17, 1898 the control of this area appears to have been transferred to the community of St. Johns by an act of the Oregon Legislature. Taxation rights being at the heart of the matter. 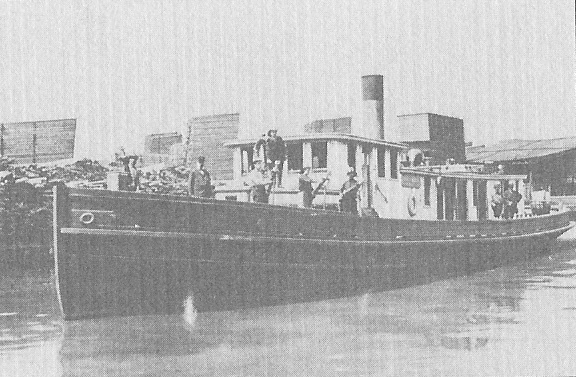 St. Johns incorporated as a city on February 19, 1903. 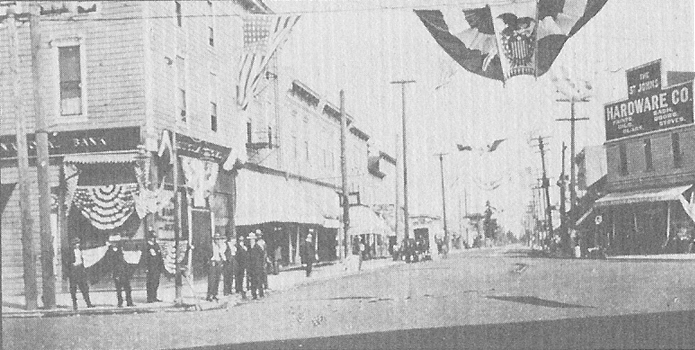 Voters of St. Johns first approved annexation to the City of Portland in 1911. However the Oregon Supreme Court found that election to be unconstitutional. The 1913 Oregon State Legislature as a result drafted a constitutional amendment, which met with voter approval, allowing the legislature to set guidelines for future annexations. On April 4, 1915, in a local election, 1,298 St Johns adult males voted 799 to 499 in favor of annexation with Portland. The population at the time was reportedly 6,600. 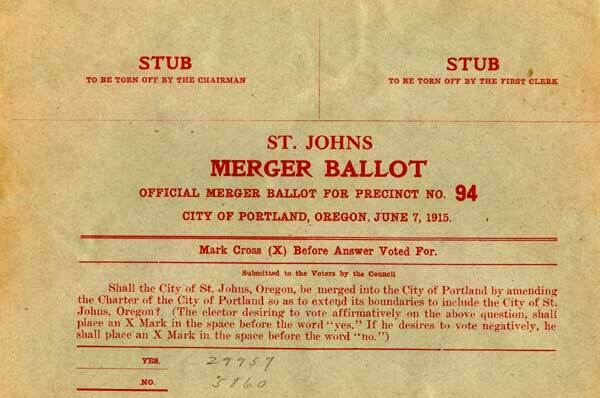 Merger ballots for the City of St. Johns and the town of Linnton were held June 7,1915. 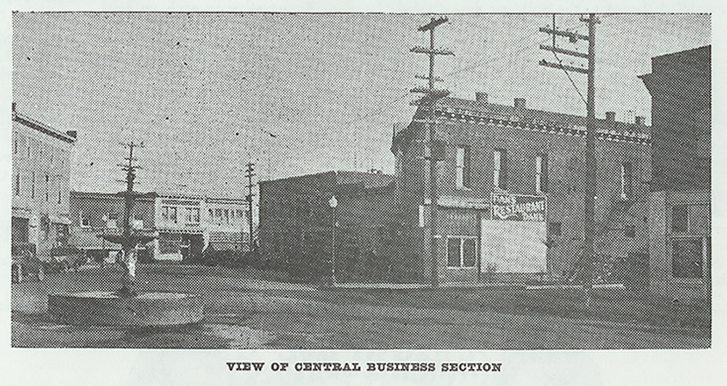 Both were approved and each became part of the City of Portland on July 8, 1915. 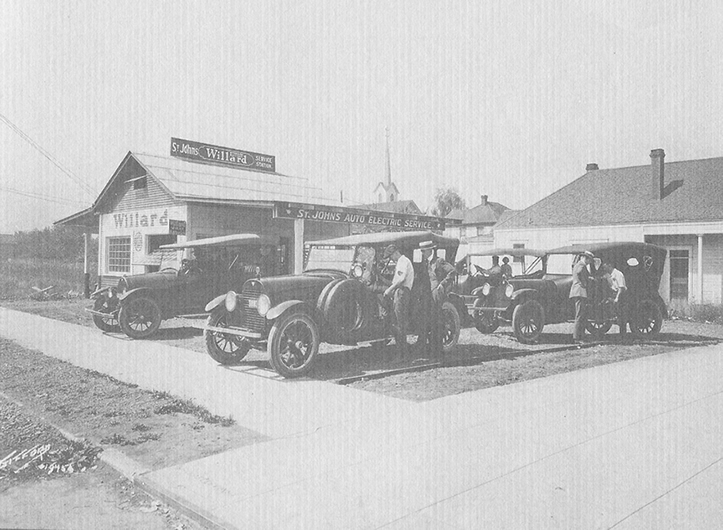 St. Johns Auto Electric circa 1915. 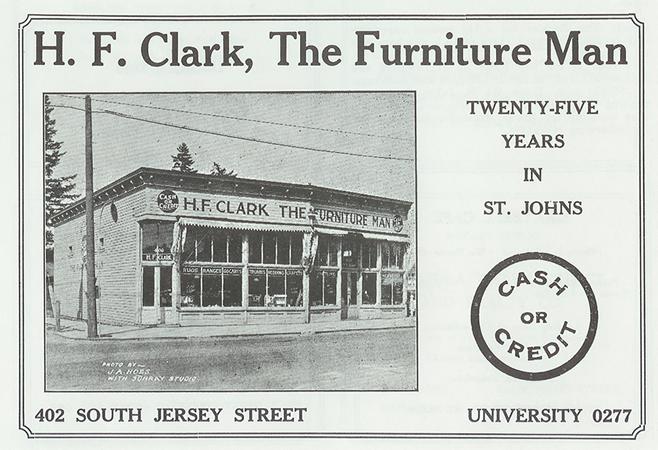 Photo of H.F. Clark Furniture Store on Jersey St. taken in 1927. School house is just behind it. 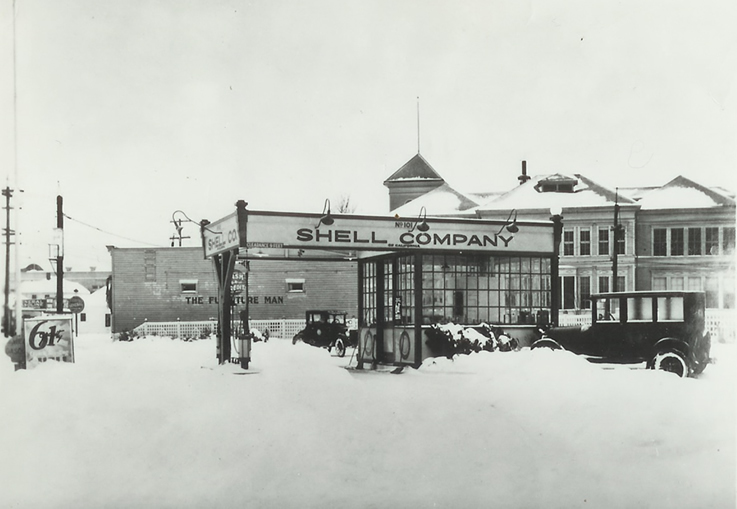 Shell gasoline station number 101 circa 1927. 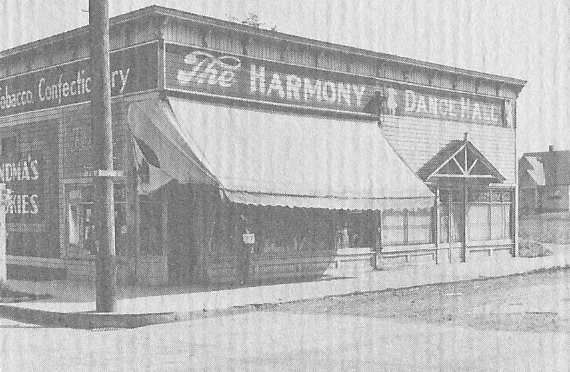 City of Portland photo # 27 of the Harmony Dance Hall on Ivanhoe Street. 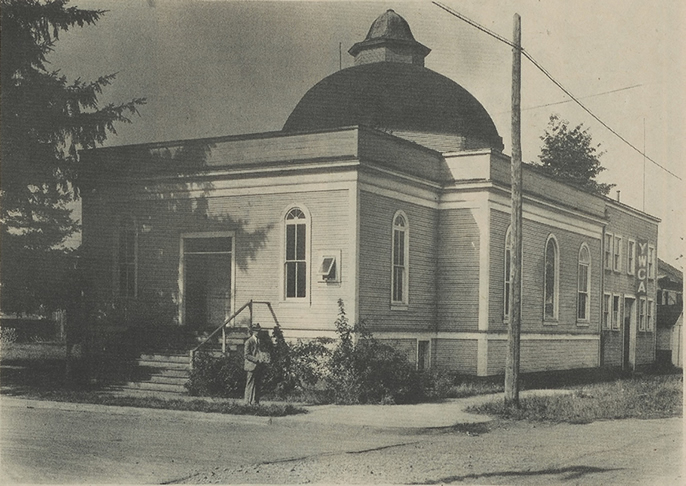 Photo # 29 was taken by the City of Portland when they were cataloging buildings / locations in the mid 1930's. Note that the annex to the 1905 National Cash Register Building was being used as a YWCA. At this time Ivanhoe St. was paved, Richmond Ave. was not. The column water tank shown on the left replaced the two wooden water tanks that had been salvaged from the 1905 Lewis & Clark Exposition. At one time this single column tower stored water for all of St. Johns. Today it is joined by a two much larger larger tanks, one of which is seen here. 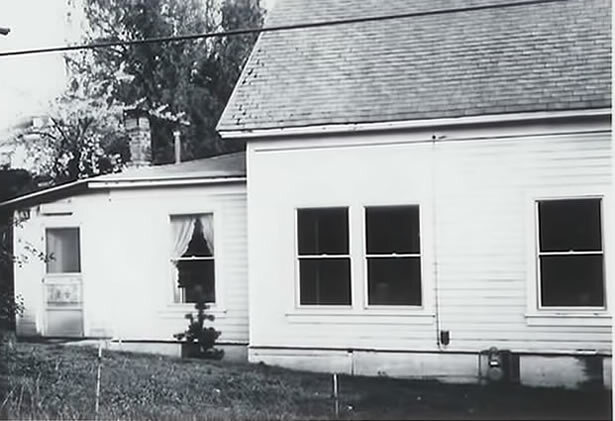 This house was in the right location to have been originally sold by James John. 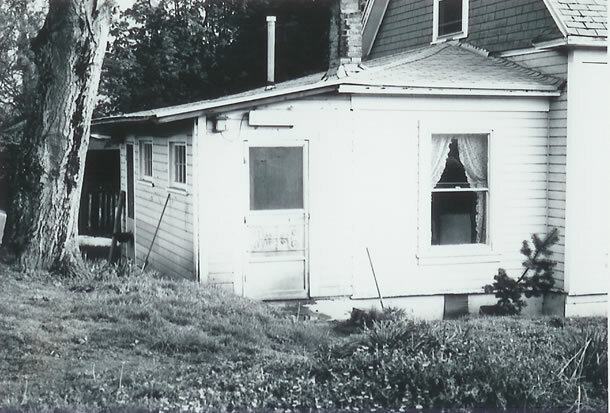 It is possible that this structure on N. Edison St. dates back to the time James John sold off parcels of his land with small houses. 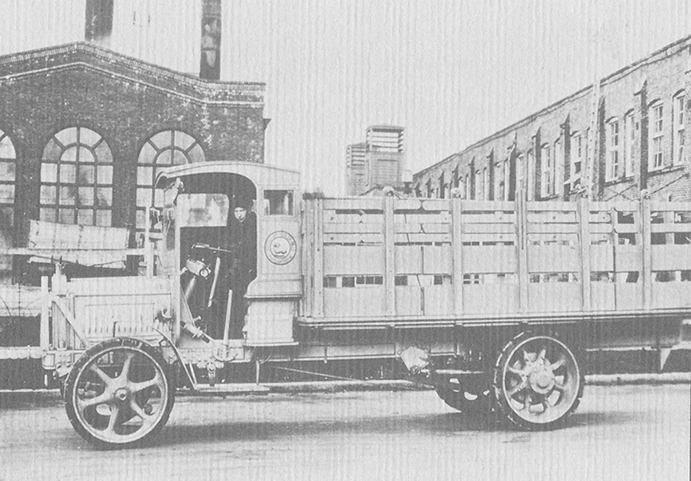 Portland Woolen Mills Mack truck was used to move bolts of wool. Portland Woolen Mills - Largest Mills West of Cleveland. Drawing circa 1920. 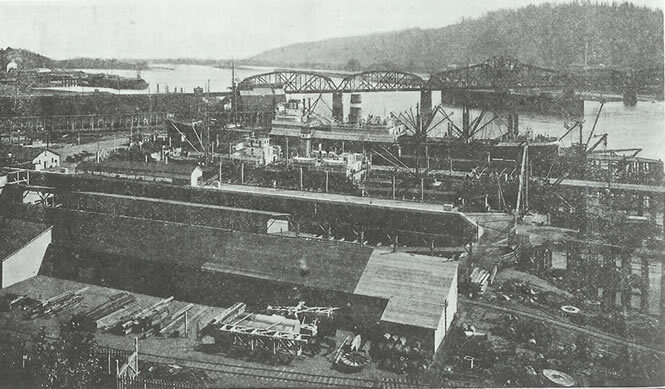 Port of Portland Dry Dock in St. Johns circa 1931. Railroad bridge is in the background. 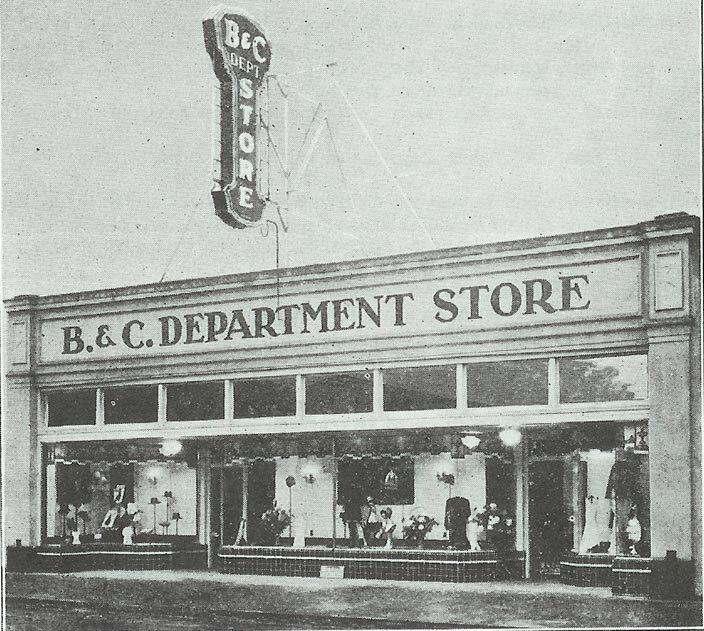 C.& C Department Store circa 1931. "The Store Where a Dollar Does its Duty"
On Philadelphia Avenue looking toward Jersey Street circa 1931. 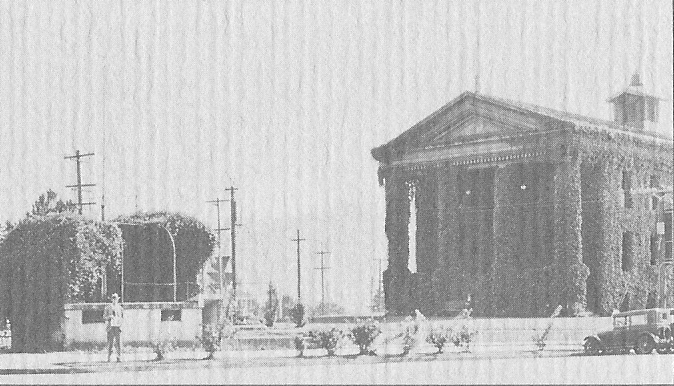 City of Portland Photo # 26 of the ivy covered City Hall Building circa 1935. Known as the Fireman's Pool, located in front of the City Hall building, this circa 1934 photo shows a fully operational American Flyer Standard Gauge train circling a shallow pool in which live trout were kept. The pond in the center was approximately 15' wide by 35' long, and of a dogbone shape. Miniature lighting was provided for the buildings, two ships, lighthouse beacon, and rotating aerial beacon. The fireboat was an operating model, discharging water through it's fire nozzles. Initial construction for the Fireman's Pool began in 1932. On Sunday afternoons and evenings off duty firemen would entertain the community by operating the train from the portico of the building. At that time the former City Hall building housed Engine Company Number 32 and Police Precinct Number 3. The railroad remained operational until WWII. 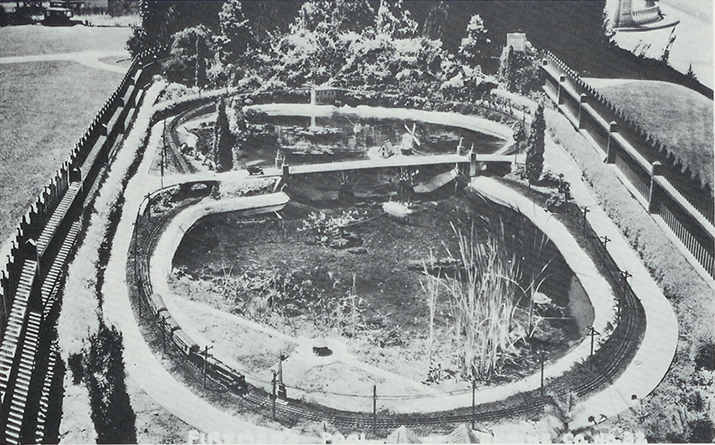 Maintenance of the pond and garden was abandoned by the fireman when they moved to a new location in 1954. The area fell into neglect until 1965 when the pond was replaced by new landscaping. Although there was a fund to include a reflecting pool with the new landscaping it was never constructed. 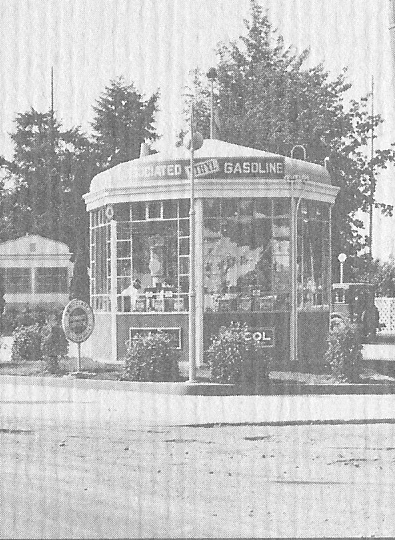 Associated Gasoline Station, circa 1935. Looking directly behind the St. Johns Hardware Building. Recent renovation has temporarily exposed original wood siding. Corner of Philadelphia and Jersey on the 4th of July circa 1925. St. Johns hardware building on the right. Thank you for visiting Positive Spin!